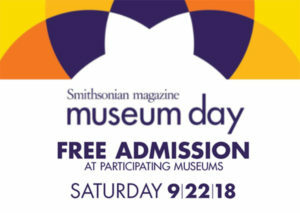 The Durham Museum , Joslyn Museum and El Museo Latino in Omaha; Union Pacific Railroad Museum in Council Bluffs; Sarpy County Museum in Bellevue; and Cass County Historical Society Museum in Plattsmouth will open their doors free of charge on Saturday, September 22, 2018, as part of Smithsonian Magazine’s 14th annual Museum Day. Museum Day is an annual celebration of boundless curiosity hosted by Smithsonian Magazine. On this day, participating museums across the United States emulate the spirit of the Smithsonian Institutions’ Washington DC-based facilities, which offer free admission every day, and open their doors for free to those who download a Museum Day ticket. ** The Museum Day ticket provides free admission for two people on Saturday, September 22, 2018. Last year, over 250,000 people downloaded tickets for the event. The Museum Day ticket is available for download at Smithsonian.com/museumday. Visitors who present the Museum Day ticket will gain free entrance for two on September 22nd only. One ticket per email address is permitted. For more information about Museum Day 2018 and a full list of participating museums and cultural institutions across the country, please visit Smithsonian.com/museumday. 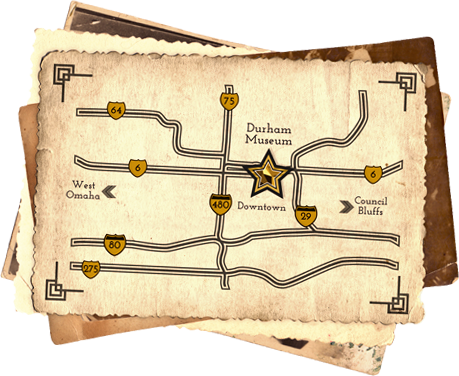 **The downloadable ticket is not required for free admission at Joslyn Art Museum or Union Pacific Railroad Museum on September 22, as these museums offer free general Museum admission to all visitors, all the time.